Can’t get enough of pianos and piano technology? Check out these books and DVDs! Did you know that equal temperament, now the standard system of tuning for pianos, was once thought to be an affront to all that is good and holy? Neither did I, until I read this fascinating book that covers the journey and riddle of equal temperament, tackled by religious leaders, Greek mathematicians, Isaac Newton, and a brilliant Chinese scholar. 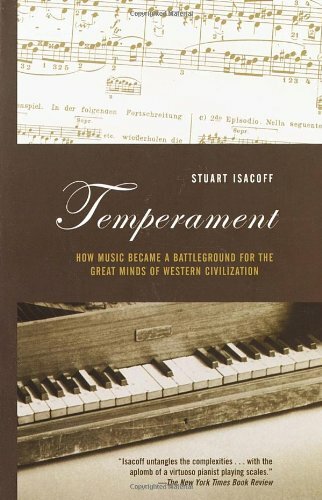 While I haven’t yet had the opportunity to read this book, I have read numerous reviews that describe it as an engaging declaration as to why the piano is the greatest of all instruments ever. That is all I needed to hear to recommend it to you, my fellow piano nerds. Famed (and notoriously eccentric) Canadian pianist Glenn Gould was obsessive about Steinway concert grand CD318. Follow the path of the ultimate, intense relationship between musician and instrument from the manufacturing of CD318 to its untimely fall from a loading dock that left Gould broken-hearted. After a laborious country-wide search, Perri Knize finally found the piano of her dreams in a beautiful, imported German grand. Or did she? Upon delivery to her home in Montana, the piano lacked the tone and sparkle that she fell in love with on the showroom floor. Or did it? Her self-proclaimed obsessive quest leads her to an education on pianos she never could have anticipated, full of the technicians, musicians, and manufacturers that make up the insular piano world. 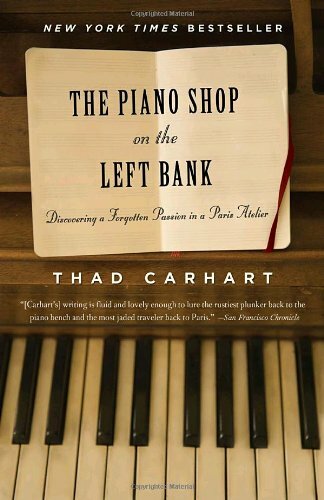 Perhaps the most well-known of current memoirs related to pianos, this book is a charming glimpse of an American navigating cultural complexities in France as he rediscovers a love for pianos in an old-world Paris piano shop. For those interested in pursuing piano technology, this book is a must-have, chock-full of photos and helpful descriptions on regulation, repair and rebuilding. As the chief concert piano technician for decades at Steinway and Sons, Franz Mohr has come a long way from his childhood in pre-World War II Germany. He has worked with some of the greatest pianists of all time, including Vladimir Horowitz, Arthur Rubenstein, Glenn Gould, and Van Cliburn. This chronicle of his anecdotes and adventures as a piano tech is a delight (as long as you don’t mind some Christian evangelism peppered in). The modern piano is very different from its first iteration produced in the early 1700s, so different that it would, in all probability, be unrecognizable to its inventor, Bartolomeo Cristofori. This book tracks the development of the piano and its technology, from some of the outrageous models that never quite caught on, to the current standard, in place since the early 1900s. Pianists and their concert technicians are an eccentric lot, both driven by the quest for the perfect sound and touch in every instrument the musician lays their hands on. The complex nature of the piano presents many challenges as technicians must adjust every individual part to meet the needs of the artists, made infinitely more complex by limitations of language to describe the sound and touch that a musician desires. As long as you don’t mind subtitles, this documentary is a fascinating look at the sometimes extensive, sometimes not, lengths a technician must go to assist musicians in making their performances as seamless as possible. Ostensibly a inside look at the manufacturing of a Steinway grand from the raw wood used for its rim to the finished product played by concert pianists, Note By Note is also the story of the hallowed Steinway Corporation, and of the technicians and legacy factory workers that are the backbone of the company.